Think of this tour as a roving whiskey dinner. Learn your ABC’s and the ABV ‘s of whiskey by joining this 4-hour guided tour through downtown Toronto. Ever wonder what a backseat was? Or what the difference is between a Pot Still and a Coffey Still? Get to know tasting terms and barley types and find out what exactly is the “Angels Share”. Taste and learn about Canadian whiskeys and whiskey cocktails in a fun filled 4-hour tour. No whiskey experience would be complete without mixing in a bit of drink history and tales of prohibition era Toronto. You will be well fed and happily hydrated by the end of the night. 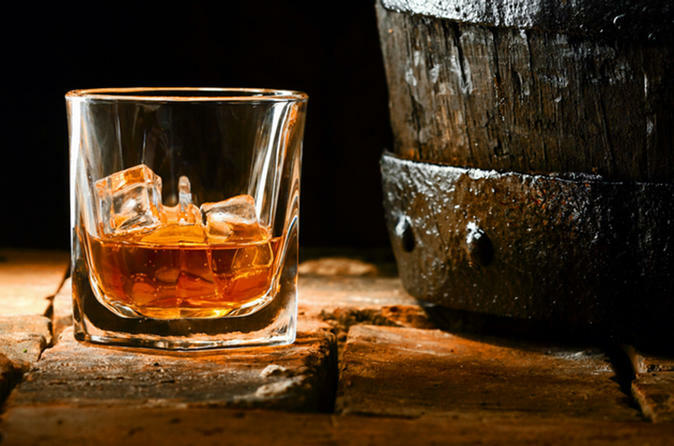 Whether you are a whiskey novice or a malt master, this tour is a perfect blend of modern and old school. A uniformed guide will be waiting for you when you arrive at the lobby of the new Delta Hotel near the west entrance. With a focus on Canadian whiskeys and food pairings, you'll start your night at a place that bills itself as “Canada’s Whiskey Bar” for a flight of four whiskies. Next you'll hit up a turn of the century hotel for a new twist on a classic whiskey sour cocktail. As you walk along, your guide will share funny stories of Toronto's colorful past and its links to the gangsters and rum runners of the prohibition era. See where Toronto's most powerful family and owners of the largest distillery in the world helped shape Toronto as you know it today. Pass through the old bordello district to learn about the "Clown Riots" before stopping at an iconic Toronto landmark for a Whiskey Manhattan and a bite to eat. You'll end your tour at a popular whiskey lounge, where you'll have a cocktail that got its name from the city but is known more in bars around the world than here at home. It is here that you will step inside and discover the secrets of a wooden whiskey tunnel. Then savor a whiskey cheese and chocolate pairing to end the night.